Nigerian art, or rather contemporary African art, is bustling in the industry presently; investments are being made, works are now being sold for millions of dollars, and more artists of African/Nigerian descent are being thrusted into the spotlight. There is a proliferation of fairs that is centred around African art – not the one’s within the Western hemisphere, but ones such as Art X Lagos in Nigeria, Chale Wote festival in Ghana, and the KAN (Knowledge, Art, Networking) Festival in Tanzania. F3mininja is a space dedicated to celebrating contemporary African art but is also cognisant of African artists that paved the way and continuously create paths for the prosperity of contemporary artists; this is why this post exists even though it is focused on Nigerian artists. I chose to frame it as ‘Classic Nigerian Artists’ as they are individuals I believe were important in the formation of Nigerian art. Of course, there are some questions to consider, i.e. what does it mean to be considered ‘classic’? I’m not even quite sure myself, but the people I have chosen to research/write about are deemed classic in my eyes however you see it. If you haven’t heard of any of the names listed, do check out more of their work outside this space! 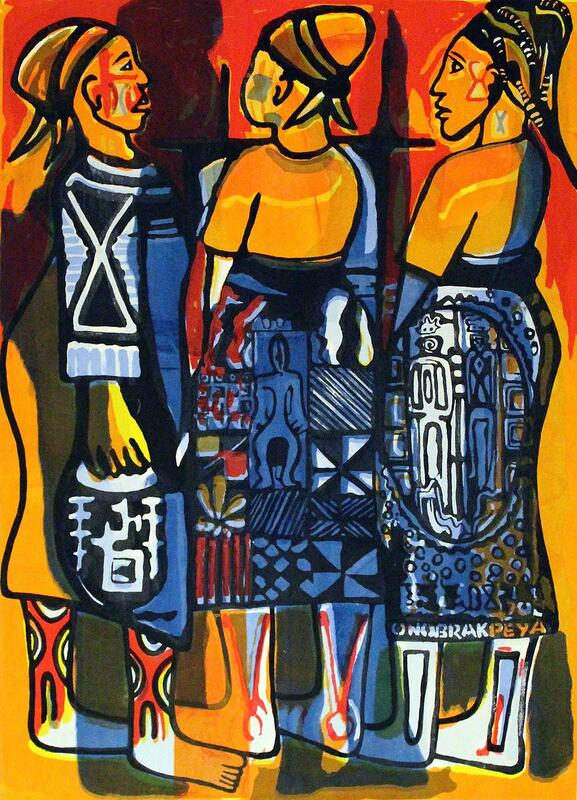 Born in Delta State, Nigeria (1932), Onobrakpeya is an artist whose creativity is not limited to one medium. Onobrakpeya is a printmaker, painter, and sculptor, whose works have been long exhibited locally (in Nigeria) and internationally in spaces like the Tate Modern and the National Museum of African Art. 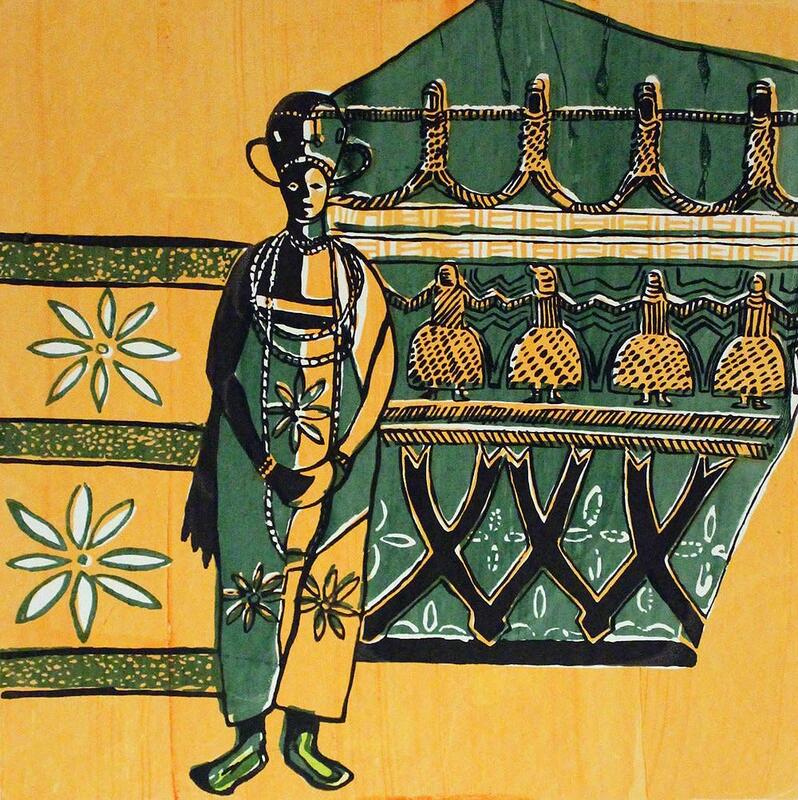 He is celebrated for his printmaking process and his exploration of Nigerian traditional beliefs which draws inspiration from the art of the Benin Kingdom to Christian iconography. Stated on artnet, Onobrakpeya mentions that his experiences during his formative years as well as his surrounding (Urhobo and Benin) was what forged his “. . . artistic bedrock” that he continues to develop. Onobrakpeya is the founder and president of the Bruce Onobrakpeya Foundation (1999) which organises, amongst other things, an annual Harmattan workshop in Delta State. The aim of the foundation is to increase the public (local and international) awareness of African art. He is an immense influence on contemporary African art especially for those who wrestle with the history of the Benin Kingdom and alike. Odinigwe Benedict Chukwukadibia Enwonwu (popularly known as Ben Enwonwu) was born in Onitsha, Anambra state in 1917. He was a painter and sculptor who was deemed as Africa’s Greatest Artist. Enwonwu was incredibly instrumental in the formation of a new understanding of Nigeria Art. His long-lost painting of the Ife Princess Adetutu Ademiluyi recently sold for £1.2 million at the Bonhams auction house. Tutu (1974) by Ben Enwonwu. Image taken via Google. Negritude (1957) by Ben Enwonwu. Taken from the Nigerian Arts Digital Library. According to the Nigerian Arts Digital Library, Enwonwu is quoted describing the Negritude piece as an expression and celebration of blackness. This piece was inspired by the traditional dances in his hometown, Onitsha, which he used as “a basis for representation” (Enwonwu, 1989). Chief Davies-Okundaye was born in 1951 in Kogi state, Nigeria. She is the founder and current director of major art centres in Lagos, Oshogbo, Ogidi, and Abuja known as the Nike Centre for Art and Culture (NCAC). The NCAC has formed into a monumental (tourist) destination for one to gain impressive knowledge on the art form of weaving, adire making, and so forth. The centre in Lagos has been a popular destination to view thousands of different works from a vast amount of artists in one space and you can typically find Chief Davies-Okundaye around to warmly welcome you as one of her own. 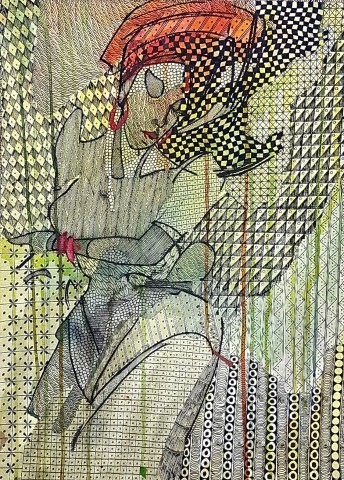 Love Dance (2003) Watercolour, pen and ink on paper by Chief Nike Davies-Okundaye. 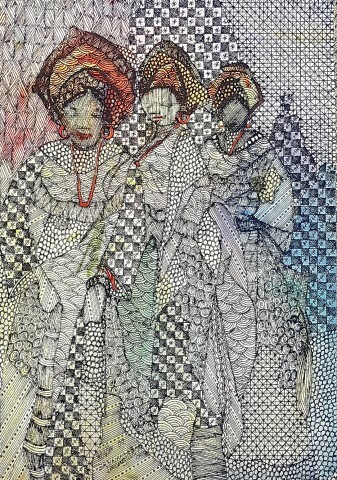 Dancers with Joy (2002) Watercolour, pen and ink on paper by Chief Nike Davies-Okundaye. Chief Davies-Okundaye is a professional textile maker and painter that creates pieces which celebrates the everyday and cultural practices that surrounds her. Her NCAC organisation has managed to train more than 3000 young Nigerian artists in developing their artistry – her work and her innovations continue to pave the way for contemporary (Nigerian) African artists to thrive.